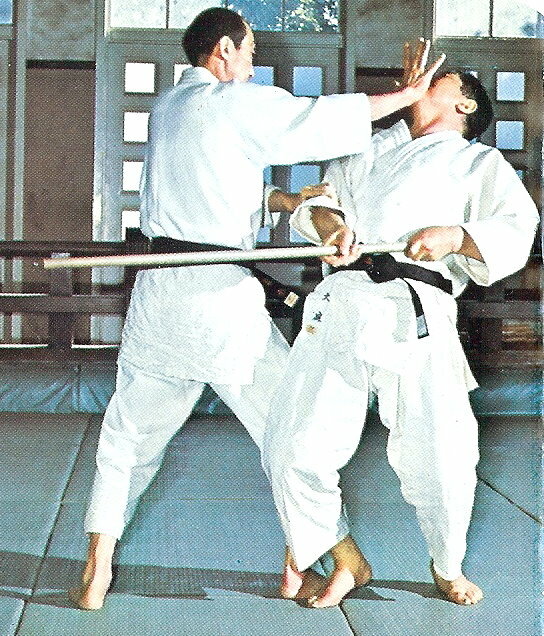 Tony Evangelou from London Aikido Dojo, very kindly uploaded an article originally published in Black Belt Magazine in 1969. Entitled “Maverick of the martial arts”, the article covers Tomiki Sensei’s approach to aikido, along with quite detailed mention of the techniques of the Randori no kata. I enjoyed the reference to Tomiki practicing without any call to a metaphysical force, such as aikido’s “ki”. Note the use of the aikijutsu terms ikkajo, sankajo and nage alongside the usual Tomiki nomenclature. Also the term shime-waza is used to refer to pinning. Tomiki is also referred to as a “Judo and Karate instructor”. I don’t know if these are intentional or not, but did notice the obvious “tegata” and “akijutsu” spelling mistakes, so who knows.